Christmas is almost here and the season of holiday shopping is upon us. Some of you may be looking forward to this with gleeful anticipation and others are probably wishing the gifts are already purchased and wrapped. We all know that one person who is difficult to shop for because he (or she) probably already has everything. We've compiled a list of holiday gifts to help you with your Christmas shopping. Many of these are handcrafted by small businesses, and the best part? They’re all under $25.00! 1. Personal Engraved Credit Card (ModernExpression) Prices start at $15.00. Having difficulty finding the perfect gift for the special man in your life? Surprise him with a personalized message that he can keep in his wallet. Available at etsy.com. 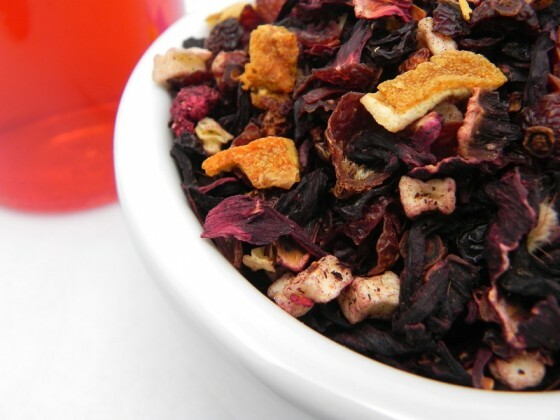 Delight a tea drinker with this aromatic hot tea blend. Available at spiceandteaexchange.com. 3. Sojos Coffee Roasting Co. $10.00 for 12 ounces. Want to find the perfect gift for a coffee lover? Look no further! This coffee is locally roasted in Athens, Tennessee and is so delicious. Available @sojos_coffee_roasting_co. Surprise the cook in your life with these lovely painted kitchen utensils. Available at etsy.com. Pamper a special friend or family member with this beautiful bath set. It features all-natural vegan soaps and a 100% cotton hand crocheted washcloth. Choose from various soap scents like Honeycomb, Lavender Peppermint, and Lemon Poppyseed. Available at etsy.com. One can never have too many tote bags, and this one is perfect for library runs, filling with groceries, or packing with traveling goodies. Available at etsy.com. Do you have a special bearded man in your life? This all-natural grooming kit is just what he needs! Available at etsy.com. This full-grain leather tumbler sleeve is handcrafted to order and sends a whimsical message. Fits a 20 ounce Yeti tumbler. Available at arrowandboard.com. This archival print of an original watercolor is a beautiful reminder that will look lovely in any home. Available at yellowbungalowshop.com. These ten-inch tapers are crafted from beeswax and have a light honey aroma. They make a wonderful addition to a candle lover’s collection. Available from etsy.com.